I first met Carolyn when she came to my Prenatal reTREAT Day, a one day prenatal yoga retreat + blessingway. She radiated positivity and calm, and I loved having her there. Not long after, I was absolutely honoured when she asked me to capture photos of her on the beach at sunrise. Carolyn is a yoga teacher and wanted to get some shots for her business, as well as to celebrate her first pregnancy. To be perfectly honest, I am not exactly a morning person (my husband would scoff at that sentence) but I truly did have a magical morning with Carolyn. The light was perfect, it was pleasantly warm and Carolyn looked like an absolute goddess. Im so excited for her as she prepares to welcome her first baby any day now, and I cannot wait to hear the news! Back in May, when I started telling people that I was about to fly to New York, by myself, everyone looked at me like I was crazy. And fair enough. I'm a mostly-stay-at-home parent with 2 small children, 2 part-time jobs and a husband who works a lot. Oh, and we're not independently wealthy. Taking off on overseas holidays by myself isn't exactly an everyday occurrence. The idea took hold when our friend mentioned that she was going to New York for her sister's wedding, and my husband said casually, "You should go with her." I'm pretty sure my response was something along the lines of: "Are you insane?" He started looking up flights and Airbnb's and he insisted, "I really think you should go. The kids will be fine." Once my initial shock wore off, I came around pretty quickly and spent the next day trying to find someone to go with me. My friend Sam was intrigued (cheap flights! Brooklyn in June! girls trip! ), and by the next night we had booked our flights and accommodation. 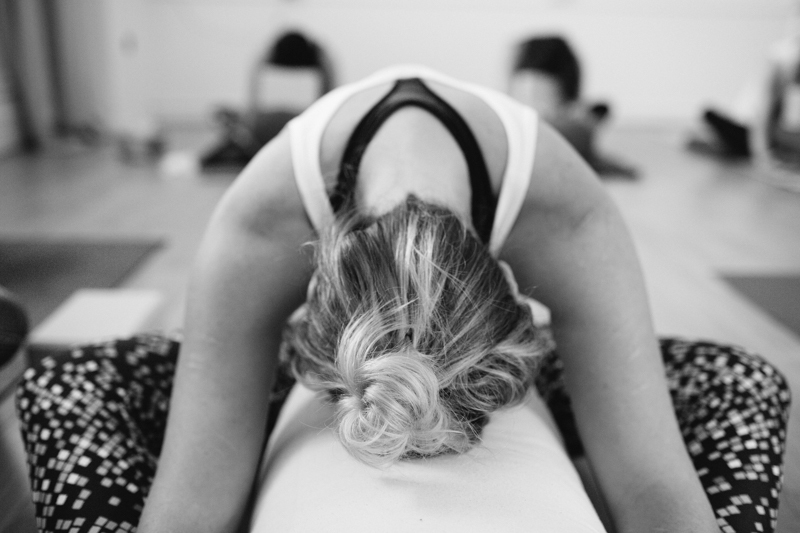 I first met Leanne through a mutual friend, and we immediately got to talking about yoga. A fellow yogi mama, Leanne has been teaching for 16 years in the US and Australia. She's a wealth of knowledge and she's now using this knowledge to mentor other yoga teachers through new new platform, Inhale Arms Up. I love how as yoga teachers we're constantly learning, and striving to grow and I know that Leanne is going to help so many teachers! On the day of my shoot with Nicole, the forecast was for rain, and having just had a shoot get rained out, I was wondering if we should reschedule. Being more brave, or maybe more trusting than I was, Nicole said, "let's go for it!" She was completely right. When we got to our location on the Northern Beaches, the cloudy afternoon was the perfect fit for Nicole's branding. And as the storm did eventually roll in, our view of it was amazing. We got back to our car just in time to avoid getting drenched. Perfect timing. This past weekend I had the honour of guiding my dear friend's blessingway. Min is expecting her third baby, and when she told me that she had always wanted a blessingway but never had anyone who could plan it for her, I knew that we had to make it happen! Back when I was expecting my first daughter, my friends threw me a beautiful blessingway and it was one of the highlights of my whole pregnancy. I was very hopeful that it would be the same for Min. I really do believe that when women gather together, magic happens. Not one person present had ever attended a blessingway, and yet everyone was so open hearted and happy to be a part of it. At the end everyone was talking about how amazing it was to slow down, to focus, to make something with their hands, to celebrate their friend and her journey. I used the book Mother Rising to plan the ceremony, as well as the Mama Blessing Pack from Sisters and the Sea. I would highly recommend both to anyone planning a blessingway! My favourite part of the day: the blush pink string we tied around our wrists in our closing ceremony string ritual, that each of us will leave on our wrist until we hear that Min's baby has arrived. Something I really love about my job is the opportunity to connect with other natural health practitioners, like yoga teachers, kinesiologists, massage therapists, naturopaths etc. I know firsthand how important it is to have photos that truly reflect you and your work, and that you feel proud to share. So when Emma reached out needing photos for her new website, I was thrilled to work with her. I've known Persia since way back in the day when we were both yoga teachers at what is now Egg of the Universe. A fellow Vancouver girl in Sydney, Persia was someone I looked up to as a yoga teacher and as an all around inspiring person. After 10 years of living in Australia, she recently returned to Vancouver and we got to reconnect while I was there in August. I suggested to her that we do a last minute photoshoot at the beach, and so we spent my last evening in Vancouver at Spanish Banks. With no time to plan or overthink, we simply went with the flow and it was great. You can find out more about Persia here, and if you happen to be in Vancouver right now I highly, highly recommend you get to one of her classes ASAP! As a mum to two small children, I know how stressful it can be to organise a family photo session. From finding the right photographer, to nailing down a date that works for everyone, to choosing coordinating outfits, and then hoping that your kids will actually cooperate on the day. The thing is, I also know that it is SO worth it! We've had family photos taken many times since my first daughter was born, and despite the stress that comes with the process, I am always in awe when we get our photos back. Even my husband, who will be the first to admit that he doesn't love having his photo taken, flips through our photo albums now and thanks me for taking the time to organise these sessions. Children grow and change so much in their first few years and these photos are a priceless treasure and an amazing part of our legacy. That said, today I thought I'd share a few simple tips to prepare for your next family session. I decided last year that I really wanted to start photographing weddings. The idea terrified me but I didn't want to let that stop me, so I made it my goal to start second shooting in 2017. So earlier this year, when I got a message from my friend Liv that her friend was looking for a wedding photographer and would I be interested, I practically shouted at her, "YES!" 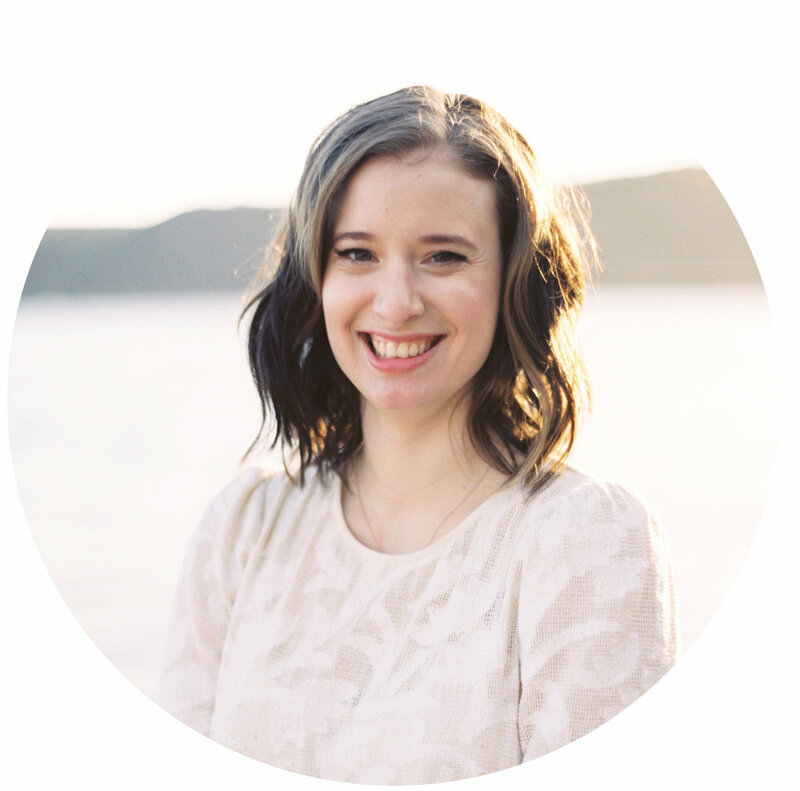 She put me in touch with Chrissy, and I connected with her and her fiancé from the first moment I met them, bonding over Anne of Green Gables, yoga and the joys and stresses of wedding planning. I knew right away that their wedding would be something special, and I was honoured that they would trust me to capture it. The end of pregnancy is such a special time. You're on the cusp of a huge change, and it's this balancing act between excitement for the future and enjoyment of the present. My friend Liv is in that place now, due to have her first baby very soon. You can just feel how ready and how excited Liv and Dave are to become parents, and also how much they're relishing this time beforehand. And one day very soon, I'll get the call and I'll make my way over to their place to meet their daughter and take newborn photos. Can't wait! As promised, here is part 2 from my photoshoot with Egg of the Universe Yoga. These yogis are each so unique and inspiring, and working with them individually and as a group was amazing. If you live in Sydney, or you ever visit Sydney, you should definitely try to get to their classes (look for Bryony, Kate, Sarah and Aimee on the timetable). 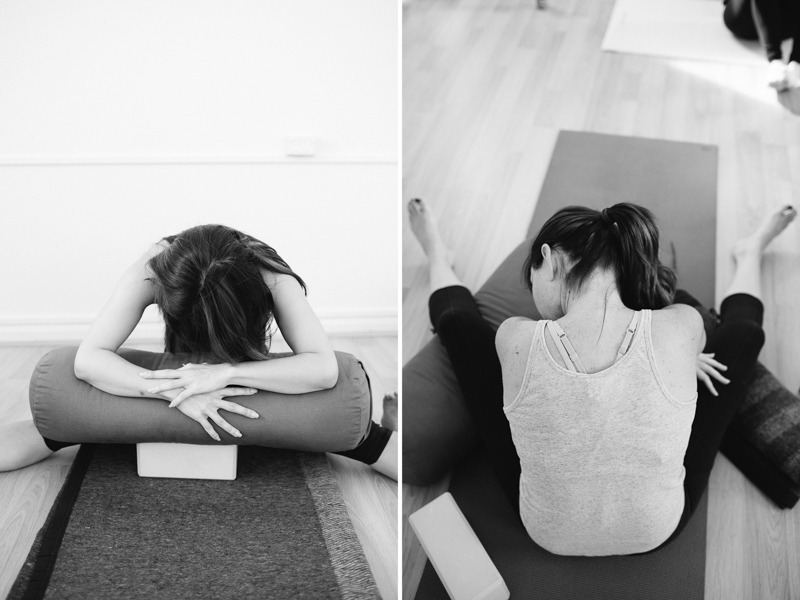 And if you're after your very own yoga photos, shoot me an email at info@gabrielafearn.com.au! Egg of the Universe Yoga Studio and Wholefoods Cafe is an absolutely magical place. It's like a little oasis in the big city; you can go to a yoga class that's sure to leave you feeling happy and centred, and then enjoy a wholesome meal while sitting under the elm tree. What's not to love? New Packages AND a Newsletter! I am super excited about today's post! If you read my post on organising your personal photos, you'll know that I'm passionate about memory keeping. I joke that our house is like a shrine to ourselves because we have so many of our family photos displayed. I love being surrounded by memories of the most special milestones in our life, from getting married eight (!) years ago to bringing our eldest to the hospital to meet her new sister. I really don't think you can have too many photos on your walls, and some experts even say that family photos boost your child's self esteem and enhance their feeling of belonging. 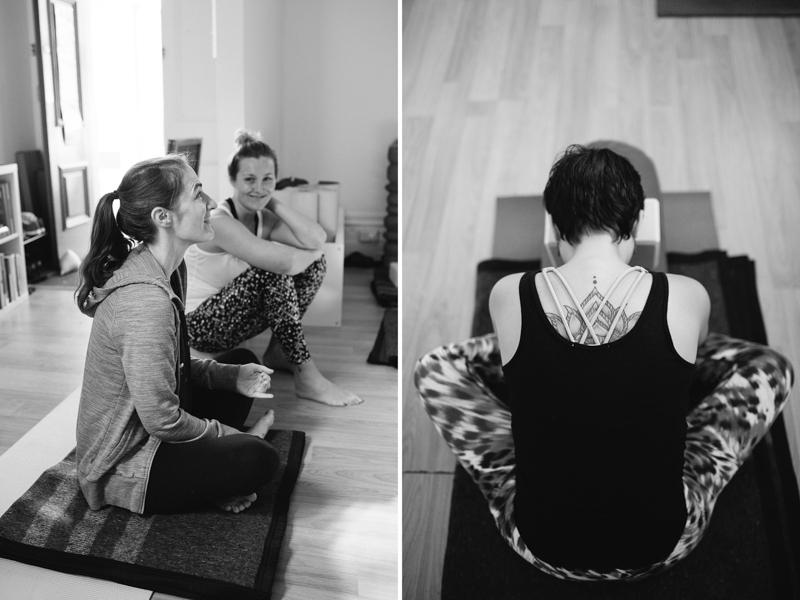 I recently had the pleasure of attending Sarah Owen's Yin Yoga Teacher Training. Over the course of 3 weekends I learned so much; Sarah truly is a wealth of knowledge. Way back in the day, on my very first trip to Sydney, I found a yoga studio that I loved. I started practising there most weekdays, and Cath was one of my first teachers. I hadn't seen her in quite a while so it was lovely to have the chance to catch up and take photos of her in this beautiful, light-filled studio. I've known this lovely mum since she was pregnant with her little boy and started coming to my prenatal yoga classes. Both of our pregnancies overlapped and I always loved chatting with her about all things pregnancy, birth, and babies. When my friend Stella emailed me to tell me about her new project, Filter Free Yoga, I was immediately excited. Their mission is simple: Inspiration - not intimidation. Honest stories behind the perfectly imperfect humans who practice yoga. Real #filterfree kinda vibes. 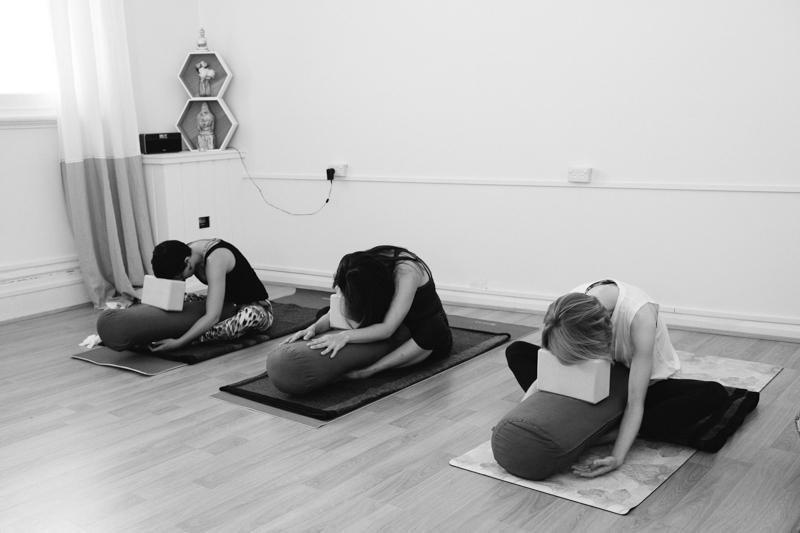 To launch the instagram page, Stella and her Filter Free partner organised a yin yoga class with a small group of students. While they practised, I tiptoed around the room taking photos and capturing authentic moments as they happened. Be sure to check out @filterfreeyoga to read some wonderfully honest and inspiring stories. P.s. I'll be featured there soon with my own story!